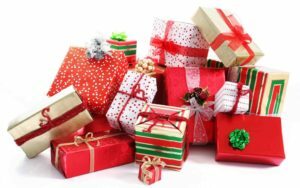 GRAFENWOEHR, Germany — Community volunteer groups looking to raise money — and spread some holiday cheer this season — can turn to the Tower Barracks Main Store and Hohenfels Retail Store, which seek partners for the Army & Air Force Exchange Service’s annual community gift wrap program. As part of the program, the Tower Barracks Main Store and Hohenfels Retail Store set up tables and provide supplies that community volunteer groups can use to wrap gifts during the busy holiday shopping season in exchange for donations. Beginning Nov. 1, interested organizations can contact the Tower Barracks Main Store and Hohenfels Retail Store by stopping by and talking to store management for information on scheduling a time to participate in the community gift wrap program.